DUKAS, PAUL. (1865-1935). French music critic, instructor and composer; creator of the immensely popular symphonic poem The Sorcerer’s Apprentice. ALS. 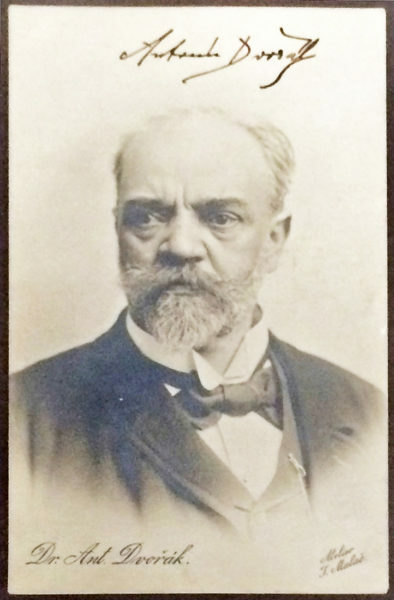 (“Paul Dukas”). 1p. 12mo. Paris, March 21, 1922. To a friend. 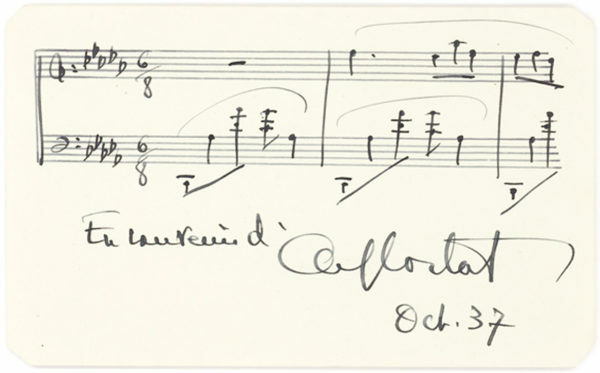 Framed with a seven-measure AMusQs (“Paul Dukas”) from The Sorcerer’s Apprentice. 1p. Oblong 12mo. (3” x 5”). N.p., August 22, 1921. 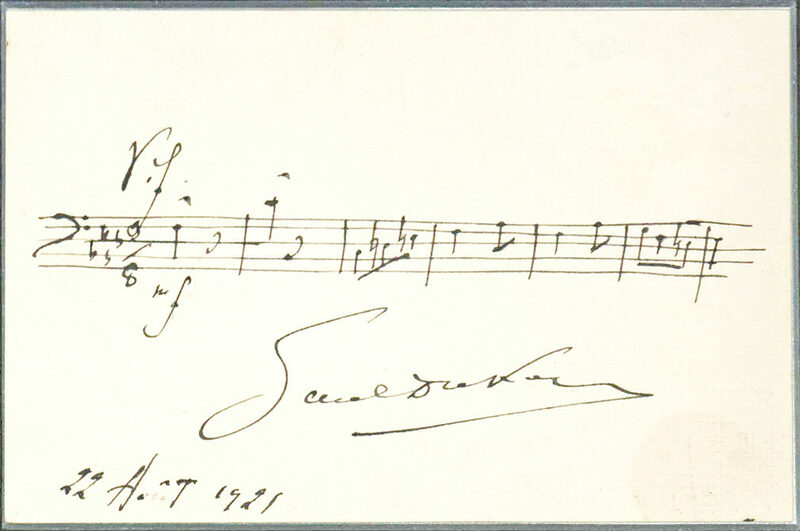 Dukas based his The Sorcerer’s Apprentice on a 1797 ballad by Goethe. It premiered on May 18, 1897, and its popularity grew with its inclusion in the 1940 Disney film Fantasia, with Mickey Mouse playing the apprentice. 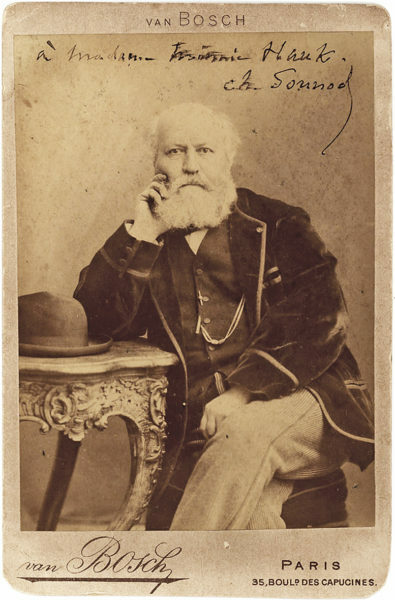 Dukas taught at the Paris Conservatoire and was a prolific music critic, but his compositional output was modest. 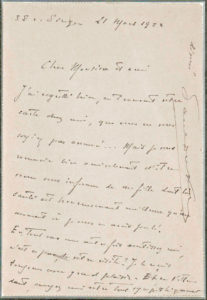 In fact, “his high ideals account for both the solidity of his reputation and the small number of major works he allowed to be published,” (The New Grove Dictionary). 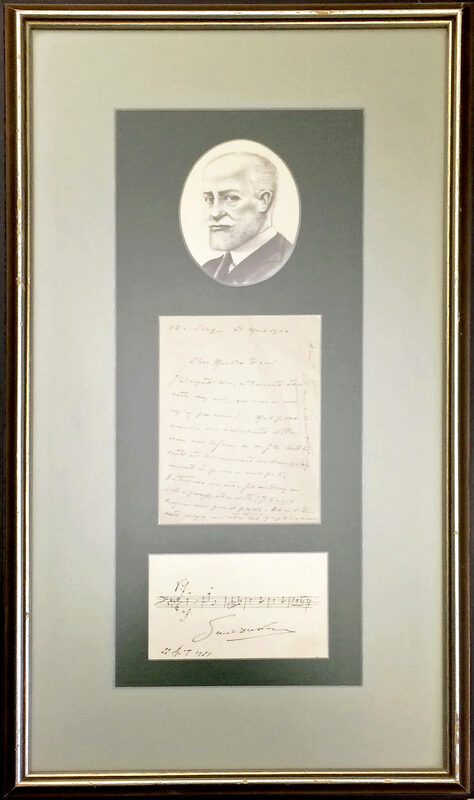 Both the quotation and letter, signed vertically along the right edge, are framed together with a bust portrait of Dukas. 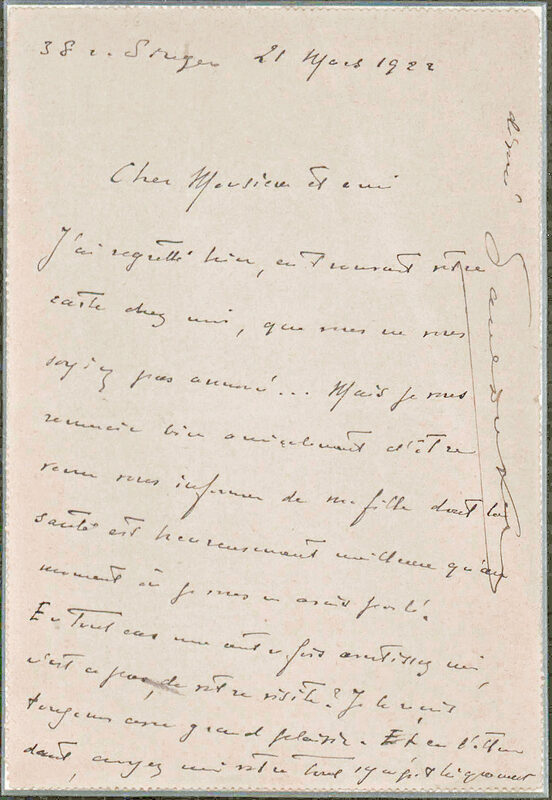 Our very rare quotation, elegantly penned on a card, has one barely noticeable small stain in the lower right corner, which does not affect any writing. Fine.